The Kaur physical identity is not so obvious or well defined. Some Kaurs keep kesh, others do not. Some cover their heads with dastars, patkas, or chunis, while others choose not to cover their heads. Some Kaurs believe it is okay to try different hairstyles, while others stick to one. At this point in time, Sikhi does not have a collective, communal idea of what a Kaur looks like or what her physical identity should portray. So, each Kaur decides for herself what identity to don and what will help her become closer to the Divine. Here, nine Kaurs reflected on the article, “What is the Kaur Physical Identity?” and shared their journey with and evolution of their Sikh physical identity throughout their lives. As a child, my family was isolated from other Sikhs so my idea of what it mean to be Sikh and what a Sikh should look like developed in a vacuum. For instance, I thought that all Sikh girls wore braids and Sikh women kept their long hair in a bun. (Wearing my hair down/open was never allowed. I was told, “Kesh is not for decoration.”) I also naively thought all Sikh women kept all of their kesh; I had never seen anything otherwise. As a kid, I thought that if you were a “strict Sikh”, you would wear a chunni as you got older. I also thought only women who were part of the AKJ wore dastars. So, needless to say, I a shocked pre-teen when I first ventured outside of my family circle and found out that some Sikh women kept their hair down/open, some cut their hair, some wore hats, some wore wigs, some wore different hair styles, some dyed their hair, some shaved and some tweezed, some non-AKJ women wore dastars, and some young women wore chunis; as a young girl I didn’t think you could call yourself Sikh and do all of those things. It took me a while to develop a nuanced view of Sikhi and to understand that everyone was on their own path. When it came to physical identity, as a kid I never thought about the differences between how me and my brother (or Singhs vs Kaurs) kept our hair or how/when we did or did not cover our heads. As I got older, I realized how though Sikhi asserts equality, men are expected to be the visual vanguards of Sikhi and expected to be the leaders within and outside of our community because they LOOK Sikh. After much research, reading, reflection and discussion, I came to believe that Sikh women should also wear dastars too, just like Sikh men. But I never have worn a dastar out of fear; I’m scared of many things. Now, as a young woman, I keep all of my body hair and I wear different hair styles. My hair is starting to turn grey and I have no plans on dying it; I think embracing its natural state is in-line with how I personally interpret feminism and Sikhi. I hope my visual Sikh identity keeps evolving. I wish for the duality within my mind and lifestyle to be eliminated. I hope one day to have cultivated the strength to wear the bana and saroop Sikhi has outlined for me. What is it to dress as a “Kaur”? For me, dressing as a ‘Kaur’ is my identity. It’s who I am. It’s deep within my sense of being and a way for me to share the deep beauty that I feel within myself. I didn’t grow up as a Sikh. I converted when I was 22 years old. Prior to that, I’d never heard the word “Sikh” or seen anyone with a turban. I grew up in a small town in the Rural South, where we only had one Jewish family and definitely no Sikhs around. When I was really little, I used to pray every day that God would give me a princess dress to wear (these were the days before all of the Disney princesses and dress-up clothes). When I washed my hair, I’d tie it up in a towel to dry it and admire myself in the mirror because I loved the way I looked with my hair up and out of the way and in a white towel. In retrospect, I believe that these longings and thoughts were soul longings. I think I knew, somewhere, deep down, that this was really my destiny. The first moment I saw a Sikh woman walk into the house with a white turban, over chuni and white Bana, I knew that’s who I wanted to be. I remember that moment with complete clarity….the grace and beauty that she carried with her, and I wanted to be like that….Beautiful, graceful, elegant. From that moment, I started playing around with creating a beautiful turban for myself. I started a quest for my new “Kaur” wardrobe. This was back in the ’90s and, as a “3HO Sikh”, this mostly included shades of white a cream. Since then, my style has changed…both my turban and my clothes. I’d gone from American style, to clothes from India, and then finding my own style within the Indian couture and now, my dream clothes that I’m finding in West Africa. I’m talking about clothing and my turban quite a bit, because I’ve created this identity for myself that works for me. While identifying as a Kaur, I also need to make all of “this” work for me. I still need to be Me within the Kaur. This is my expression that I feel the Guru has given me to share with the world. I feel that this identity that I’ve created for myself is my projection to the world. I know it’s confrontational for some people and exalting for others. I’m also very tall, my energy is big, and I LOVE people so I can be intimidating for some people. I’ve come to realize this over the years. I used to perceive people’s change in energy when they saw me as confusion, revulsion or fear. Now I choose to see their reaction as one of awe, wonder and curiosity. I don’t like to be at odds with people and I like to fit in with the group. I know that my presence can create different emotions and feeling within people. I tend to lower myself, both physically and energetically, to help ease people into feeling comfortable with me because I can feel that many people aren’t. Because of this, I find that I slouch. I’ve never been proud of my height and my full regal-ness that comes with being Me. I’m re-training myself to stand straighter, to be proud of my height and who I am. I now know that my presence is healing and that making myself smaller doesn’t help anyone or make the world a better place. Now I use my energy, my Kaur identity and my Bana to help bring light into the world. I’m coming into an even more empowered place over the past couple of months about my Bana and how I feel in it and how much power there is in that. go, people always know I am a Sikh. It makes me feel proud because I get to tell others about who I am since my identity sparks questions. My identity helps me live a Sikh way of life by helping me remember who I am and who I represent. The very fact that I have the same identity as my role models, Mata Bhag Kaur, Mata Gujri Jee, etc, I feel inspired to live my life like them. I want to always be kind, brave and loving just like them. I’m lucky that I have friends who keep the same identity as me. It gives us a foundation to build our friendship on as we learn to represent our Guru and community in positive ways. I have gone through a few iterations in my physical Sikh identity as a Kaur. I suppose as a child, I never even saw my identity in reference to being a Kaur. For me, it was simply being a Sikh to keep my hair and wear a kara. I grew up in a Sikh family and my physical form was more a product of my family identity than a Guru-inspired form. As I grew older I started to notice the differences in how the world may perceive Singh and Kaur identity differently. I vividly remember coming home one day from middle school asking my parents about shaving my armpits as people felt like it was unhygienic for girls to have hair under their armpits. I often smile sheepishly now as I think of this memory – and am appreciative that my parents taught me the value of independent thought – it was a poignant lesson on how to demonstrate resistance to the double standards of gender expectations. connected us in ways that have withstood the tests of time. While I always kept my kes and after taking Kandey Ke Pahul as a teenager, took on the uniform of the other panj kakkars, I only began wearing a dastaar just before my daughter was born 11 years ago. During my first pregnancy I reflected on how my external physical identity had grown to be intertwined with the many things that now identified me. I had been a daughter, a student, a professional, a wife, and now soon to be a mother. My external identity had impacted the various relationships that had come to define me, impacted the way I interacted with the world and most importantly, the way I interacted with myself. I wondered about the discrepancies between Singh and Kaur identity and I yearned to carry the same crown so many others seemed to draw strength from. I struggled, however, with how this changed my “Kaur” identity. There was no defining moment where I overcame this struggle, but before the birth of my first child (which I didn’t know at the time was a boy or girl), I felt this crown I yearned for didn’t in fact negate my Kaur identity, only intensified it. I wanted my child to grow up in a home where the 5 Kakkars and Dastaar belonged to both Kaurs and Singhs and as such embraced the Dastaar as part of my physical identity. wanted to keep the Guru and Guru inspired teachings as my center. While my physical identity is a very personal choice, I learned over time that it also carries an external responsibility to represent the Guru. Being out in the world and wearing the 5 Kakkars makes me an ambassador of the Guru – it is a privilege shared by all those who have chosen this path, an agreement to live our lives in a way that brings honor to the names Kaur and Singh. Although I’ve been Amritdhari since 2006, I feel like my physical identity as a Sikh began 2 years ago when I started covering my head with a chunni. Aside from the 5 Kakkars, covering my head provided a sense of humility and served as a reminder to be humble in stressful situations and to be strong and proud of my roots/history. On the other hand, covering my head brought some hardships into my world. I’ve started to be judged more in the community as being “more religious”. In fact, it’s mind boggling when Sikhs are having a conversation with me and then mid-sentence justify themselves while looking at me as if I’m judging them when it’s the other way around. At the end of day, I reflect that for me, the Kaur Sikh identity holds its significance more within someone as opposed to what people can see on the outside and that helps me walk the path with ease. My physical identity as a Kaur is continually evolving the more I become connected with my faith. When I first became a Sikh, there was no way anyone would be able to tell that I was apart of this community (apart from the kara on my wrist). But as I became more confident in my own identity, I wanted others to know who I was. I slowly started to adopt the 5 ks’ and as time went on, they became apart of my daily appearance. But for me, the biggest change is when I started to wear the dastar. In my eyes, the dastar is a gift the Gurus gave to both Sikh men as well as women. A simple piece (or pieces) of cloth, that when tied right, can make anyone look like a queen or king. It took me a while to get used to it. The stares, the confused looks, and the awkwardness of it all. But once I got past that stage, I embraced the distinctiveness of my identity and accepted the reactions (whether good or bad) that might come with it. Some of my Sikh friends would say “It’s like when you walk in a room now there’s this air of regality around you.” Even though I don’t quite agree, I do feel that people take a second look when I enter into a room now. But hey, that’s exactly what Guru Gobind Singh wanted. For his Sikhs to stand out in a crowd of thousands. Broadly speaking, Sikh women can’t be identified as Sikhs in comparison to Sikh men, who can be identified with their beautiful bright color turbans and fearless beards. If I call myself a Sikh wouldn’t I want to be identified as a Sikh in my workplace and my social circle? Growing up in India and going to a Sikh school I never had to identify as a Sikh, as everyone knew I was one. Since I moved to the US for my graduate school, I was identified as a brown Indian girl. But my fellow Sikh turbaned men stood out as Sikhs. With the thinking that men and women are equal in Sikhi, why don’t women cover their head? With these thoughts, I decided to start covering my head with a bandana and followed by with a chuni. After completing graduate school I started my job hunting. I would go for my on-site interviews and get rejected. Many times, I would think I am not being offered a position because of “the way I look” or I am not qualified for the position. But soon I realized that was not true, as within 6 months I landed my first industry job. That was the first hurdle I had to cross to question my identity. From there on, my identity has made me more confident in what I do, I believe in and I stand for. I have interviewed for many jobs, but not once I have thought that the rejections are because of how I look. My chuni is my shield, my armor, my crown. The only thing which bothers me is that when your own people don’t understand that why I should cover my head. Once one of my relatives said that you don’t need to cover your head in front of us, as we are not “old school”. I basically had to reply back with, “I cover my head for the same reasons my dad covers his head”. It’s just hard to understand, as when non-Sikhs ask me why I cover my head, they may be unaware of my background. But when Sikhs ask me why I cover my head, it just boggles my mind. Why don’t they ask the same question to my husband or my brother or my dad? Why sikh women’s identity is just a background drop? Anyhow long story short, covering my head is the best decision I may have made in my life. It helps me connect with my guru and values, to be humble, forgiving, loving and happy. I can do path or simran anytime of the day, and I don’t need to find my rumal to cover my head. It helps me constantly remind me of who I am and what I believe in. I’ve been lucky enough to be a part of a Sikh community most of my life growing up through camps and having lots of sangat in the cities that I’ve lived in and so I’ve never felt like my Kaur identity was being questioned. However, I did spend a lot of time reflecting on how my behaviors and appearance fell in line with gursikh principles. I found that there was a lot of disconnect between Kaurs preaching Sikh values (activism, gender equality, etc.) and actually showcasing those values through their physical appearance. While it took time (and many relapses) to get to where I am today, I feel truly comfortable in how I represent myself as a Kaur. I keep all the kesh on my body and have found confidence in still wearing the clothes I like (shorts and sleeveless tops included) not only in camp circles, but in the “real world”. There is no situation now, whether I’m out with my coworkers or going to the pool, where I feel like I need to alter or cover up aspects of myself to conform to my environment. Not only do my unshaven legs give a sense of solidarity to other Kaurs, it has also given me a lot of confidence in myself. When it comes to my identity, it has definitely taken some time to figure out where I stand and feel most myself. Growing up, my family always went to gurdwara, actively supported and engaged in panthic agendas, and lived a typical Sikh lifestyle. Being full of a home where there were five women and one man, we didn’t come off as “Sikh” to the outside world. If it were to come up in conversation, labels such as “Indian” or “Muslim” would often be used and questioned. I always found it problematic to be labeled something I wasn’t. As I grew older, I started having a clearer understanding of who I am and what I stand for. I always kept my kes as a child and never went through any phases where I had removed my hair or even wanted to remove my hair. I pushed through any negativity I faced because of my hair, especially facial hair. Because my kes kept my Sikhi intact all those years, I decided to accept Amrit at age 16. At the time, I did not have an ounce of an idea as to how this decision was going to change my life. Starting out, I made many mistakes. As any human being would. After I graduated high school, I came to the realization that ten plus years later, people were still seeing me as the “wrong” thing. To make it clear, I believe that what you are and what you stand for, isn’t for others to approve. However, that does not mean you let people understand you as the WRONG thing. Being someone who was constantly exposed to panthic issues and the struggles/traumas that Punjabi’s carry due to 1984, I quickly realized the impact it was having on me and my Sikhi. When I had been blessed with Amrit, I did not cover my head. No one had said anything against, so I thought it was okay, being the helpless teenager, I was. To add, it is so crucial to have proper sangat when deciding whether or not Amrit is for you. You need to have someone, a Gursikh, to help guide you with what is right from wrong. Looking back, I wish I had that but that is also the beauty of it. Amrit isn’t something that is concrete; Amrit is something that is slowly experienced and lived. 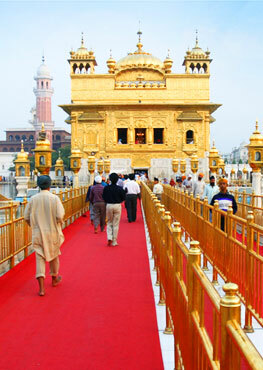 Attaining Giaan of Maryada and Sikhi in itself, is vital for any Sikh at that. In Guru Gobind Singh Ji Maharaj’s Baani, He says “Rehat Piyaari Mujh Ko, Sikh Piyaaraa Nahey” meaning, “Discipline is Lovely to me Not Disciple.” This shabad would often ring in the back of my mind and I would ask myself, am I truly following my true father’s orders? After some time and before starting college, I started to wear a patka every day. I truly knew one day I wanted to tie a dastaar and wear it every day. A year went by and I was getting more and more restless to tie a dastaar but often felt I was not good enough for it. Seeing what kind of stigmas came with tying one and how people see you. I was afraid of being labeled again. In this community, if you choose to become more distinct in your faith, you will still be judged for being “too good”. 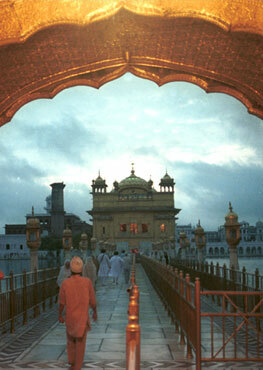 Overlooking the toxic energy that radiates through the Punjabi community, my Guru would be happy that I took that step. Now, I can finally say that I wear my dastaar with pride because I know I am taken seriously. It took a lot of Khoj to understand myself and I am still learning. This does not make me better than any other Kaur out there, we are all united in the fight for equality. However, one thing I want my sisters and brothers to understand is that, nothing is split in Sikhi. Guru Sahib treats us all the same. Thinking that you are any less than a Singh that wears a dastaar and has visual kes on his face, is belittling the darjaa, the level, that Maharaj has put us women at. There are hundreds of thousands of courageous bibiyan that fought alongside Guru Gobind Singh Ji Maharaj. How can we belittle ourselves when Maharaj themselves have given us the same right as men? Not accepting the baana given by our Guru is a disservice to ourselves and to the prosperity of Kaurs. I do ardaas every day that the panth raises women that live with the same confidence as Mata Sahib Kaur, Mata Sundhri Ji, Mata Bhag Kaur, Bibi Sharan Kaur, Bibi Daler Kaur, Bibi Deep Kaur, Bibi Manjeet Kaur Tainee, and countless other Kaurs who have fought for the dastaars that are on our heads today. Do not forget who we are as Kaurs and what our purpose is – it is not much different than that of a Singhs.